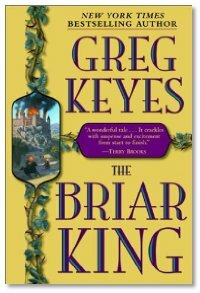 Greg's latest work, The Briar King, is due to release January 19th, so it should be in stores shortly after that. Greg is a New York Times Bestselling author, with several other novels to his credit, including a Star Wars book he's currently working on. With a solid background in Anthropology, Greg's fantasy novels have an interesting historic twist. And if you're east of Arizona, you'll find Greg on tour with his book, maybe near you. Bed music provided by Minibosses, from Tempe Arizona. The song is called "mm2". Santa, bones and Turkey... but we're not talking about X-mas dinner. Will mice testicles help me get pregnant? Casper from Starship Troopers involved in SST:2. Goody? Christi's auctioned off real Storm Trooper helmets! Bet they're on Ebay? HellBoy comic coming to the big screen, Ron Perlman to star!